This debut novel, set in late Twelfth century England, covers a handful of years near the end of Henry II’s reign, in which he is fighting his three teenage sons over the power to rule Normandy, Brittany and Aquitaine. Alais, Princess of France and Countess of the Vexin, has been sent to England to await marriage with Richard, Duke of Aquitaine. While the young couple seems inclined toward one another, Henry also preys on Alais’ mind. She finds herself strangely drawn to him, and he has made no secret of his interest in her. The story is written in parallel first person narrative, each chapter switching between the characters of Eleanor and Alais. Their words, thoughts and feelings are cleverly intermingled, usually one starting the story where the other finished, but in some cases we see events happen from both perspectives. It can get very emotional with these two fiery women fighting for the same power. 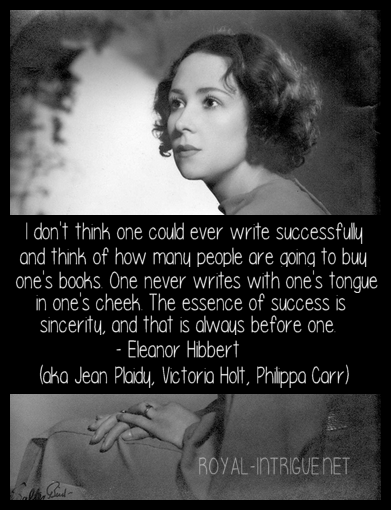 One of the peculiar, yet perfectly feasible dynamics of the characters is the relationship between Eleanor and Alais. Eleanor immediately recognizes many of her own traits in Alais and decides that she will guide her in becoming a great and powerful woman, which will serve her interests when Alais becomes her daughter-in-law. With the support of her sons, she will still wield great power—which, besides Richard, is the only thing left to her worth living for. Though Eleanor loves Alais as a daughter, and Alais loves her as a mother, they never quite enjoy an open unconditional love. There is an unbreakable bond deep inside, but it comes out only when the worse befalls them. 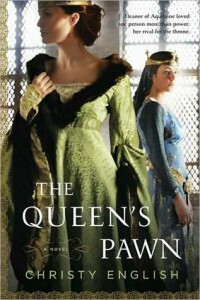 In this book, Eleanor is not yet imprisoned, yet does not live with Henry as a husband and wife should. They haven’t shared a bed in years, though they are still cordial to one another. There is no love or trust between them, but a mutual respect. Eleanor knew instantly that Henry was attracted to Alais, but never did she think his ardor was reciprocated. Soon she finds that the girl she thought to mould has more courage and defiance than she had previously given her credit for; and this knowledge did not disconcert her, but made her proud—and cautious. The events that occur between Eleanor, Alias, Richard and Henry make this story so believable. I have never read a version of their relationships where Eleanor and Richard both loved Alais, but it makes sense in this story. The characters were placed in only a couple of settings—two castles to be exact—and the reasons for this are touched on in the Author’s Note at the end of the book. She also gives reference to other facts some may believe to be skewed, so make sure to read it if you are bothered with small details. I found The Queen’s Pawn to be balanced historically and very readable. The psychological focus on relationships, rather than overly detailed descriptions kept my interest and moved the story along. I was very satisfied with the ending, though a bit sad, it ties up loose ends and gives a feeling of forgiveness and redemption, as well as a promise to a future for the characters.